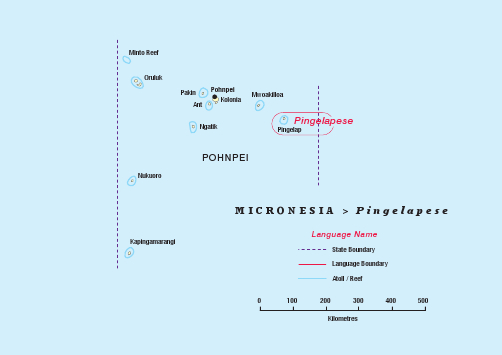 Pingelapese (total population about 5,000, of which 300 live on Pingelap atoll itself) is considered to be a vigorous language, though it is influenced by Pohnpeian and English. 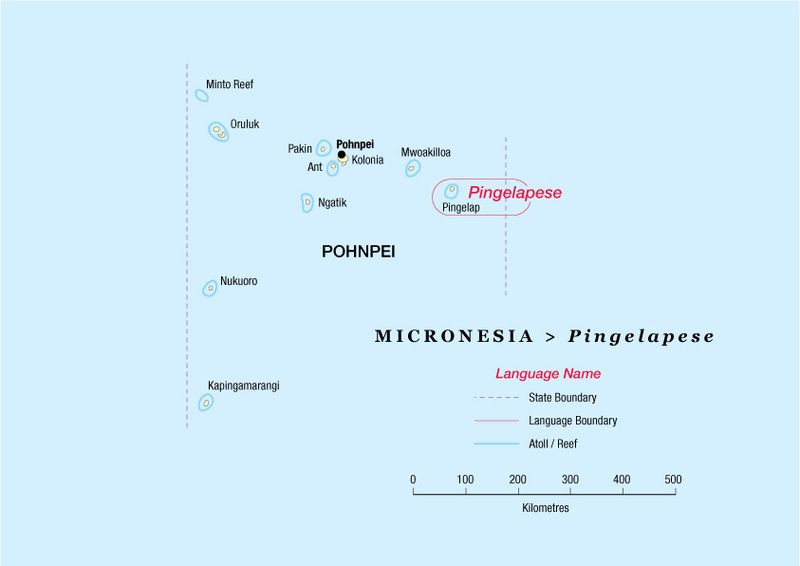 The majority of the Pingelapese are living on Pohnpei, where they have two churches with services in their own language. There are 7 churches worldwide that use Pingelapese in their worship services. Bible translation work began in June 2012, being commissioned by the King of Pingelap. The Pingelapese Bible Translation committee is centered in Kolonia, Pohnpei. There are 44 mother tongue translators. Ken Dixon is serving as the advisor for the project. Members of the Translation committee as well as various church members have expressed extreme excitement about having the Bible in their own language.